The ability of virtual worlds such as Second Life to provide new experiences as well as “a real life” to those with disabilities has to my knowledge not really been explored in New Zealand although well publicised overseas. It also has not been used to make the lives of the aged, infirm and shut-ins more meaningful, something that it has almost miraculous possibilities for doing. But overseas, particularly in the United States, the ability to create a cyber version of oneself has been embraced by people with disabilities stemming from arthritis, cerebral palsy, multiple sclerosis, mental illness, autism, wartime injuries and other debilitating conditions, and their carers. According to a recent issue of the Philadelpia Enquirer the disabled can log on to virtual worlds to do things they cannot, or are afraid to, do in real life. Carolyn Davis, an Inquirer Staff Writer, points out that already the disabled can in some ways emulate the feats of the lead character Jake Sully, the paralysed military veteran in the New Zealand-created, James Cameron-directed movie, Avatar, who uses a virtual body to “live” in and infiltrate another “real” world, Pandora. “Can’t go places without a wheelchair?, “Davis asks, before noting, “In Second Life, you not only can walk, you can fly. “Is your speech slurred? In Second Life, text chats can let out your inner Shakespeare. “Forget for a minute what you can’t do. In virtual worlds, it’s all about what you can, ” she says. And she is correct. 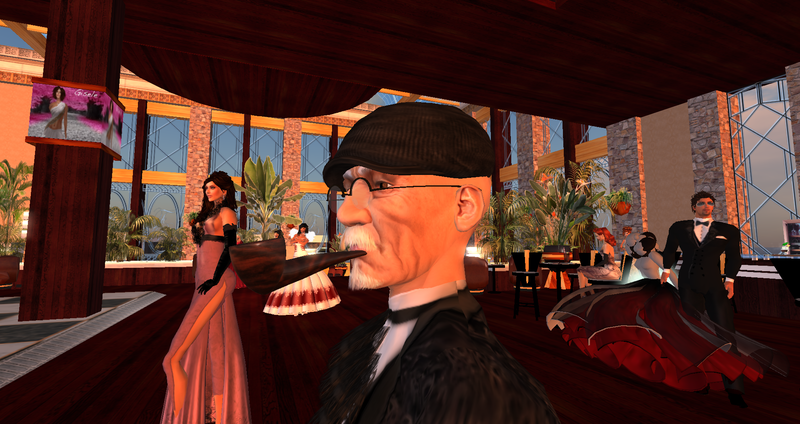 World Second Life can be a boon for those with physical and even mental limitations. “People identify in a very intense way with their avatars,” according to Sherry Turkle, professor of social studies of science and technology at the Massachusetts Institute of Technology and director of the Initiative on Technology and Self.. 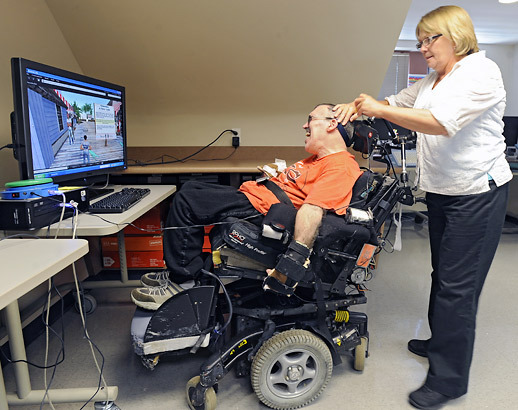 Noting that disabled players, however, often need adaptive equipment to use a computer and to interact with virtual worlds such as Second Life, Davis visited West Philadelphia’s Inglis House, which offers services and housing to people with severe disabilities, and which has a computer lab stocked with such gadgets and is filled with residents using computers for writing, playing games, and sending e-mails. 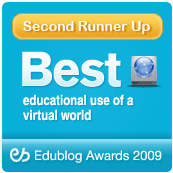 Her article is worth reading just to see the possibilities in this area although a pilot project to see if residents and day-program participants could benefit from Second Life, especially by taking continuing education classes from schools with a presence in the virtual world, has wound down with the participants finding it too hard for too little return. Davis also details Virtual Ability, a nonprofit group based in Colorado, which was founded by Alice Krueger, 60, who was diagnosed with multiple sclerosis 10 years ago. Her group’s mission is to help the disabled use Second Life, and its Virtual Ability Island is tailored to welcome disabled players, with tutorials and areas to practice manipulating their avatars. On the island virtual sandwich boards advertise the ALS Association, the Arthritis Foundation, and the Autism Society (Autism Awareness Centre). For me the Davis article, along with other articles I have read over the years, points to the boon of virtual worlds for not only the disabled but for those who are shut-in (and shut-out of society) through age or other infirmities but still have all their faculties. Although Linden Labs may not see the aged as a lucrative part of their target market – the aged not being so hip – I feel that is one direction in which virtual worlds are going to move with extraordinary vigor once the interface becomes more transparent. I have met numerous avatars whose creators are over 70 in real life who appear to be repeating and enjoying the mistakes of their 20s without a lot of the anguish and angst associated with that in their real life. There already is a Silver Fox organisation within Second Life, whose members, despite the real life age of the membership, still appear to have the fun of youth… doing the things they possibly can no longer do in real life. Age is not a barrier in virtual world. In fact it is one place that it is often an asset where life experience can be helpful. Finally, I see a time when, rather than just sitting staring to space those who inhabit our old people’s homes or live alone and lonely will be able to move, interact and socialise in virtual worlds just as easily as they once could in the real world. I, for one, would rather spend my old age, if I live that long, interacting in a virtual world, than slowly devolving into a vegetative state. Perhaps a MUVE membership and Broadband access might even become part of a pension cheque. A better option ...spending old age in a virtual world?